United Kingdom Corporal 15298 Suffolk Regiment 07/06/1917 Age: 21 V. B. 2. United Kingdom Corporal 27654 Machine Gun Corps (Infantry) 17/05/1917 Age: 20 I. J. 11. United Kingdom Private 36818 West Yorkshire Regiment (Prince of Wales's Own) 16/06/1917 Age: 29 I. M. 2. United Kingdom Private 14324 Machine Gun Corps (Infantry) 22/04/1917 Age: 26 I. E. 23. United Kingdom Serjeant 17015 Royal Scots 18/06/1917 V. B. 9. United Kingdom Rifleman 17142 Royal Irish Rifles 22/11/1917 II. J. 11. United Kingdom Lance Serjeant 235112 Northumberland Fusiliers 09/04/1917 Age: 19 I. C. 21. United Kingdom Private 22384 York and Lancaster Regiment 08/05/1917 Age: 21 I. H. 19. United Kingdom Rifleman R/16988 King's Royal Rifle Corps 23/04/1917 I. E. 17. United Kingdom Serjeant 3636 Machine Gun Corps (Infantry) 03/07/1917 V. A. 2. United Kingdom Private 27601 Grenadier Guards 01/12/1917 Age: 30 IV. G. 27. United Kingdom Lieutenant Machine Gun Corps (Infantry) 03/05/1917 Age: 40 II. C. 13. United Kingdom Able Seaman Clyde Z/5826 Royal Naval Volunteer Reserve 11/05/1917 Age: 19 I. G. 12. United Kingdom Gunner 72323 Royal Garrison Artillery 13/05/1917 I. J. 6. United Kingdom Driver 28975 Royal Field Artillery 14/07/1917 I. N. 2. United Kingdom Gunner 761200 Royal Field Artillery 18/07/1917 I. N. 7. United Kingdom Private 35681 Northumberland Fusiliers 09/04/1917 Age: 22 I. A. 26. Australian Private 4431 Australian Infantry A.I.F. 11/04/1917 Age: 35 IV. D. 6. United Kingdom Second Lieutenant York and Lancaster Regiment 20/05/1917 Age: 25 I. K. 3. United Kingdom Lance Corporal 33006 Leicestershire Regiment 03/05/1917 II. E. 34. United Kingdom Private 47634 Northumberland Fusiliers 09/06/1917 Sp. Mem. V. G. 13. Buried near this spot. United Kingdom Private 40729 Royal Scots 09/04/1917 I. A. 15. United Kingdom Second Lieutenant Lincolnshire Regiment 14/06/1917 Age: 29 V. A. 7. United Kingdom Serjeant 780053 Royal Field Artillery 30/04/1917 I. H. 2. United Kingdom Private 300512 Durham Light Infantry 25/04/1917 III. E. 9. United Kingdom Serjeant 8225 Oxford and Bucks Light Infantry 25/09/1915 Age: 25 IV. F. 4. United Kingdom Private 30929 Bedfordshire Regiment 27/08/1917 I. P. 11. United Kingdom Private 30555 South Staffordshire Regiment 30/06/1917 V. D. 18. United Kingdom Company Quartermaster Serjeant 14/461 York and Lancaster Regiment 28/06/1917 Age: 37 I. L. 16. United Kingdom Gunner 115888 Royal Garrison Artillery 08/06/1917 Age: 19 I. L. 11. United Kingdom Private 27655 Machine Gun Corps (Infantry) 17/05/1917 Age: 22 I. J. 13. United Kingdom Private 16420 Northumberland Fusiliers 09/04/1917 Age: 31 I. B. 18. United Kingdom Bombardier 835758 Royal Field Artillery 30/04/1917 Age: 20 I. F. 9. United Kingdom Private 40889 Northumberland Fusiliers 09/04/1917 Age: 21 I. C. 15. United Kingdom Rifleman 323869 London Regiment (City of London Rifles) 26/10/1917 Age: 20 I. Q. 10. United Kingdom Gunner 81155 Royal Garrison Artillery 28/04/1917 I. F. 6. United Kingdom Private 25/765 Northumberland Fusiliers 04/06/1917 V. A. 10. United Kingdom Private 29/70 Northumberland Fusiliers 20/06/1917 V. A. 10. United Kingdom Driver 831383 Royal Field Artillery 30/04/1917 I. F. 10. United Kingdom Private 10705 Highland Light Infantry 19/12/1914 II. N. 6. United Kingdom Private 1430 North Staffordshire Regiment 01/07/1916 II. J. 19. United Kingdom Lance Corporal 40801 Northumberland Fusiliers 07/06/1917 V. B. 11. United Kingdom Private 32366 Border Regiment 27/05/1917 V. A. 6. United Kingdom Private 4373 Honourable Artillery Company 03/05/1917 III. D. 2. United Kingdom Private 46532 Northumberland Fusiliers 09/04/1917 I. C. 26. United Kingdom Private 764627 London Regiment (Artists' Rifles) 17/08/1917 I. O. 13. United Kingdom Private 9277 Devonshire Regiment 18/12/1914 Age: 25 II. C. 5. United Kingdom Private 26949 Duke of Cornwall's Light Infantry 29/04/1917 I. G. 15. United Kingdom Private 43922 Royal Scots 09/04/1917 I. A. 27. United Kingdom Able Seaman Tyneside Z/8748 Royal Naval Volunteer Reserve 17/07/1917 Age: 20 I. K. 16. United Kingdom Private 26739 Duke of Cornwall's Light Infantry 29/04/1917 I. E. 13. United Kingdom Second Lieutenant Royal Scots 09/04/1917 Age: 25 I. A. 2. United Kingdom Private 40797 Northumberland Fusiliers 09/04/1917 Age: 21 I. B. 10. United Kingdom Private 242274 Queen's Own (Royal West Kent Regiment) 01/07/1917 V. B. 8. United Kingdom Private 24529 Durham Light Infantry 01/05/1917 I. G. 14. United Kingdom Private 35684 Northumberland Fusiliers 09/04/1917 I. A. 5. United Kingdom Serjeant 19721 Royal Scots 09/04/1917 Age: 23 I. A. 12. United Kingdom Private 21587 East Yorkshire Regiment 23/05/1917 I. K. 7. United Kingdom Second Lieutenant York and Lancaster Regiment 16/06/1917 I. M. 5. United Kingdom Private 245167 Royal Warwickshire Regiment 02/09/1918 Age: 19 Sp. Mem. III. H. 8. Buried near this spot. United Kingdom Private 28710 East Yorkshire Regiment 14/05/1917 Age: 21 I. J. 5. United Kingdom Private 39195 Northumberland Fusiliers 09/04/1917 Age: 22 I. B. 13. United Kingdom Corporal 18/78 West Yorkshire Regiment (Prince of Wales's Own) 23/06/1917 Age: 21 I. M. 15. United Kingdom Trooper 1420 Household Battalion 17/04/1917 Northumberland Cem. Mem. 7. South African Corporal 9023 South African Infantry 09/04/1917 Age: 27 I. A. 18. United Kingdom Private 11030 The Queen's (Royal West Surrey Regiment) 23/04/1917 II. A. 26. United Kingdom Private 10896 Royal Irish Regiment 19/10/1914 IV. J. 3. United Kingdom Serjeant 20593 Suffolk Regiment 09/04/1917 Age: 27 I. A. 11. United Kingdom Private 38555 Northumberland Fusiliers 09/04/1917 Age: 27 I. B. 19. United Kingdom Private 47390 Northumberland Fusiliers 03/06/1917 V. B. 12. United Kingdom Lance Corporal 25/50 Northumberland Fusiliers 09/04/1917 I. C. 25. United Kingdom Lance Serjeant 18/464 Durham Light Infantry 28/06/1917 I. N. 4. United Kingdom Private 36833 West Yorkshire Regiment (Prince of Wales's Own) 16/06/1917 I. M. 3. United Kingdom Private 1263 Royal Warwickshire Regiment 02/09/1918 III. H. 9. United Kingdom Private 25331 Hampshire Regiment 13/04/1917 V. A. 11. United Kingdom Private 240745 Northumberland Fusiliers 09/04/1917 I. B. 32. United Kingdom Lance Corporal 46425 Northumberland Fusiliers 09/04/1917 Age: 20 I. C. 4. United Kingdom Driver L/2045 Royal Field Artillery 03/05/1917 Age: 32 I. H. 5. United Kingdom Private 28974 Grenadier Guards 01/12/1917 IV. G. 8. United Kingdom Private 21550 King's Own (Royal Lancaster Regiment) 01/04/1918 Age: 23 V. C. 7. United Kingdom Private 12/1235 York and Lancaster Regiment 18/06/1917 Age: 25 I. M. 4. United Kingdom Private 46221 Worcestershire Regiment 27/07/1917 I. N. 13. United Kingdom Gunner 24355 Royal Garrison Artillery 03/06/1917 I. L. 7. United Kingdom Private 276081 Royal Scots 07/06/1917 Age: 30 V. B. 5. United Kingdom Private 203547 Northumberland Fusiliers 09/04/1917 I. C. 35. United Kingdom Private 2908 Lincolnshire Regiment 13/10/1915 III. H. 2. United Kingdom Private 39050 York and Lancaster Regiment 19/06/1917 I. M. 7. United Kingdom Private 763520 London Regiment (Artists' Rifles) 18/08/1917 Age: 35 I. P. 2. United Kingdom Private 23261 Hampshire Regiment 11/04/1917 Age: 38 Sp. Mem. V. D. 4. Buried near this spot. United Kingdom Private 71747 Machine Gun Corps (Infantry) 16/05/1917 V. C. 14. United Kingdom Private 1632 Lincolnshire Regiment 18/06/1917 Age: 26 Sp. Mem. V. B. 16. Buried near this spot. United Kingdom Private S/1568 Gordon Highlanders 19/08/1918 I. R. 5. United Kingdom Private 265756 Black Watch (Royal Highlanders) 17/05/1917 Age: 20 II. F. 35. United Kingdom Rifleman 321365 London Regiment (City of London Rifles) 26/10/1917 Age: 23 I. Q. 9. United Kingdom Lance Corporal 18250 Royal Scots 09/04/1917 Age: 28 I. A. 20. United Kingdom Private 266793 Black Watch (Royal Highlanders) 17/05/1917 II. F. 35. United Kingdom Private 165 Lincolnshire Regiment 11/04/1917 I. A. 6. United Kingdom Corporal PO/14658 Royal Marine Light Infantry 20/07/1917 I. J. 15. United Kingdom Private 14518 Leicestershire Regiment 03/05/1917 Age: 20 III. D. 8. United Kingdom Private 25234 Royal Scots 09/04/1917 Age: 23 I. B. 28. United Kingdom Private 245156 Royal Warwickshire Regiment 02/09/1918 Sp. Mem. III. H. 10 Buried near this spot. United Kingdom Private 38637 Northumberland Fusiliers 09/04/1917 Age: 31 I. B. 12. United Kingdom Driver 101069 Royal Field Artillery 30/04/1917 Age: 39 I. G. 8. United Kingdom Rifleman R/33729 King's Royal Rifle Corps 10/04/1917 II. F. 24. United Kingdom Private 235030 West Yorkshire Regiment (Prince of Wales's Own) 12/05/1917 Sp. Mem. V. A. 14. Buried near this spot. United Kingdom Private 17838 Suffolk Regiment 09/04/1917 Age: 22 I. B. 2. United Kingdom Lance Corporal 1047 Lincolnshire Regiment 10/06/1917 Sp. Mem. V. A. 5. Buried near this spot. United Kingdom Lance Serjeant 14564 Sherwood Foresters (Notts and Derby Regiment) 03/07/1917 Age: 42 V. D. 6. United Kingdom Lance Corporal 16225 Machine Gun Corps (Infantry) 03/06/1917 Age: 20 I. L. 5. United Kingdom Private 10888 Royal Irish Regiment 19/10/1914 Age: 17 IV. J. 2. United Kingdom Private 47188 Northumberland Fusiliers 09/04/1917 I. C. 24. United Kingdom Private 10959 Highland Light Infantry 19/12/1914 II. N. 4. United Kingdom Private 764687 London Regiment (Artists' Rifles) 24/08/1917 Age: 19 I. P. 6. United Kingdom Private 38719 Northumberland Fusiliers 09/04/1917 I. D. 7. United Kingdom Private 33937 Northumberland Fusiliers 09/04/1917 I. A. 29. Australian Private 2387 Australian Infantry A.I.F. 03/05/1917 Age: 26 III. A. 23. United Kingdom Second Lieutenant Royal Welsh Fusiliers 27/05/1917 Age: 30 II. G. 17. United Kingdom Private 238057 Northumberland Fusiliers 28/04/1917 I. B. 37. United Kingdom Private 31587 York and Lancaster Regiment 04/05/1917 Age: 41 I. H. 6. United Kingdom Private SptS/4377 Royal Fusiliers 12/04/1917 I. D. 24. United Kingdom Serjeant 7852 Devonshire Regiment 24/10/1914 II. K. 37. United Kingdom Bombardier 13810 Royal Garrison Artillery 06/05/1917 I. H. 12. United Kingdom Private 33630 Middlesex Regiment 28/03/1918 I. Q. 15. United Kingdom Able Seaman R/635 Royal Naval Volunteer Reserve 22/06/1917 I. M. 12. United Kingdom Private 38883 Northumberland Fusiliers 09/04/1917 Age: 24 I. C. 32. United Kingdom Lance Corporal 83850 Royal Engineers 16/05/1917 I. J. 9. United Kingdom Lance Corporal 762386 London Regiment (Artists' Rifles) 08/08/1917 I. O. 2. United Kingdom Private 25303 Machine Gun Corps (Infantry) 22/04/1917 Age: 20 I. E. 20. United Kingdom Corporal 22/799 Northumberland Fusiliers 09/04/1917 I. D. 5. United Kingdom Private 47650 Northumberland Fusiliers 09/04/1917 I. C. 34. United Kingdom Private 26241 Royal Fusiliers 28/05/1917 I. K. 13. United Kingdom Private 28227 Lincolnshire Regiment 09/04/1917 Age: 19 I. C. 3. United Kingdom Gunner 915746 Royal Field Artillery 20/04/1917 Age: 22 I. E. 2. United Kingdom Private 27/918 Northumberland Fusiliers 09/04/1917 I. C. 12. United Kingdom Private 42858 Machine Gun Corps (Infantry) 20/06/1917 Age: 21 Sp. Mem. V. A. 12. Buried near this spot. United Kingdom Private 27535 Duke of Cornwall's Light Infantry 29/04/1917 I. E. 14. United Kingdom Serjeant 290049 Northumberland Fusiliers 14/11/1916 Age: 22 II. M. 6. United Kingdom Lance Corporal 38016 York and Lancaster Regiment 15/06/1917 Age: 29 I. M. 1. United Kingdom Private 43514 Cameronians (Scottish Rifles) 09/04/1917 I. A. 14. United Kingdom Lance Corporal 4721 7th Dragoon Guards (Princess Royal's) 01/12/1917 Age: 27 IV. G. 9/10. United Kingdom Second Lieutenant South Staffordshire Regiment 01/07/1916 Age: 19 III. B. 24. United Kingdom Fitter 122506 Royal Garrison Artillery 05/06/1917 I. L. 9. United Kingdom Private 37618 Northumberland Fusiliers 09/04/1917 I. C. 39. United Kingdom Gunner 79160 Royal Garrison Artillery 14/05/1917 Age: 21 I. J. 3. United Kingdom Private 48233 Northumberland Fusiliers 09/04/1917 I. C. 27. United Kingdom Second Lieutenant Royal Welsh Fusiliers 14/05/1917 Age: 23 III. E. 5. United Kingdom Lance Corporal 35669 Northumberland Fusiliers 09/04/1917 I. C. 29. United Kingdom Lance Corporal CH/2339 Royal Marine Light Infantry 03/09/1917 I. P. 13. United Kingdom Sapper 83753 Royal Engineers 16/05/1917 I. J. 10. United Kingdom Private 48065 Northumberland Fusiliers 09/04/1917 Age: 19 I. B. 1. United Kingdom Gunner L/3749 Royal Field Artillery 06/08/1917 I. O. 1. South African Private 2864 South African Infantry 09/04/1917 Age: 23 I. A. 17. United Kingdom Private 43468 Royal Scots 09/04/1917 Age: 47 I. A. 19. United Kingdom Gunner 101976 Royal Garrison Artillery 24/04/1917 I. G. 7. United Kingdom Private 764139 London Regiment (Artists' Rifles) 17/08/1917 I. O. 12. United Kingdom Gunner 40246 Royal Garrison Artillery 09/05/1917 Age: 21 I. E. 25. United Kingdom Lieutenant Royal Scots 09/04/1917 I. G. 1. United Kingdom Private 32042 York and Lancaster Regiment 16/05/1917 I. J. 8. United Kingdom Driver L/2997 Royal Field Artillery 29/04/1917 Age: 21 I. G. 3. United Kingdom Corporal 17078 Royal Scots 09/04/1917 I. Q. 5. United Kingdom Driver 3807 Royal Field Artillery 29/04/1917 I. G. 2. United Kingdom Serjeant 30020 Bedfordshire Regiment 16/09/1917 Age: 26 I. Q. 7. United Kingdom Private 39440 Royal Scots 09/04/1917 I. B. 29. United Kingdom Second Lieutenant Bedfordshire Regiment 15/04/1917 Age: 20 I. K. 6. United Kingdom Able Seaman R/3037 Royal Naval Volunteer Reserve 05/09/1917 Age: 26 I. P. 15. United Kingdom Private PLY/1009(S) Royal Marine Light Infantry 19/08/1917 I. P. 3. United Kingdom Private 30504 Royal Scots 09/04/1917 Age: 19 I. C. 2. United Kingdom Private 45773 Northumberland Fusiliers 21/03/1918 Age: 20 II. B. 10. United Kingdom Private 763806 London Regiment (Artists' Rifles) 17/08/1917 Age: 37 I. P. 1. United Kingdom Private 28160 Machine Gun Corps (Infantry) 22/04/1917 Age: 27 I. E. 18. United Kingdom Rifleman 2801 London Regiment (Queen's Westminster Rifles) 01/07/1916 Age: 23 II. M. 18. United Kingdom Lance Corporal 1909 Lincolnshire Regiment 13/10/1915 II. J. 34. United Kingdom Acting Bombardier L/3935 Royal Field Artillery 13/07/1917 I. G. 18. United Kingdom Corporal 8189 Oxford and Bucks Light Infantry 25/09/1915 Age: 28 IV. F. 5. United Kingdom Gunner 765504 Royal Field Artillery 25/04/1917 I. G. 9. United Kingdom Second Lieutenant Northumberland Fusiliers 09/04/1917 I. B. 16. United Kingdom Lance Corporal 37341 Northumberland Fusiliers 09/04/1917 Age: 25 I. A. 28. United Kingdom Gunner 276452 Royal Garrison Artillery 06/05/1917 I. H. 13. United Kingdom Private 47827 Northumberland Fusiliers 09/04/1917 Age: 33 I. C. 23. United Kingdom Private 2773 Royal Fusiliers 29/09/1915 Age: 25 IV. E. 14. United Kingdom Private 43137 Northumberland Fusiliers 09/04/1917 I. D. 16. United Kingdom Lance Corporal 41316 Northumberland Fusiliers 09/04/1917 I. C. 22. United Kingdom Private 22295 King's Own (Royal Lancaster Regiment) 02/04/1918 Age: 24 V. C. 4. 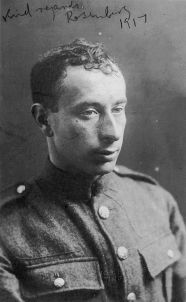 United Kingdom Private CH/2153(S) Royal Marine Light Infantry 08/09/1917 Age: 30 I. Q. 1. United Kingdom Private L/10219 The Queen's (Royal West Surrey Regiment) 23/04/1917 Age: 23 II. G. 16. United Kingdom Lance Corporal 22/1470 Northumberland Fusiliers 09/04/1917 I. C. 6. United Kingdom Sapper 235991 Royal Engineers 27/04/1917 Age: 37 I. E. 11. United Kingdom Private 301988 Argyll and Sutherland Highlanders 09/04/1917 Age: 22 I. D. 19. United Kingdom Private 32099 Northumberland Fusiliers 09/04/1917 Age: 25 I. A. 31. United Kingdom Private 48160 Northumberland Fusiliers 10/04/1917 I. D. 6. United Kingdom Lance Corporal 20545 Royal Scots 06/06/1917 Age: 24 V. B. 7. United Kingdom Gunner 129809 Royal Garrison Artillery 29/03/1918 I. Q. 16. United Kingdom Able Seaman Clyde Z/5811 Royal Naval Volunteer Reserve 10/08/1917 I. O. 5. United Kingdom Bombardier 129280 Royal Field Artillery 25/04/1917 Age: 24 I. F. 2. United Kingdom Lance Corporal 14902 Royal Scots 03/05/1917 III. C. 27. United Kingdom Private 46520 Northumberland Fusiliers 13/06/1917 II. A. 31. United Kingdom Private 38720 Northumberland Fusiliers 09/04/1917 I. D. 9. United Kingdom Private 37898 East Yorkshire Regiment 20/06/1917 I. M. 10. United Kingdom Serjeant 2363 Royal Fusiliers 16/04/1917 Age: 23 I. O. 17. United Kingdom Lieutenant Highland Light Infantry 20/12/1914 Age: 21 II. N. 7. United Kingdom Private 26/965 Northumberland Fusiliers 05/06/1917 Age: 21 V. B. 6. United Kingdom Able Seaman Wales Z/1495 Royal Naval Volunteer Reserve 05/06/1917 Age: 22 I. L. 8. Canadian Private 1885 Newfoundland Regiment 14/04/1917 Age: 24 III. G. 19. United Kingdom Private 29765 Worcestershire Regiment 24/07/1917 Age: 21 I. N. 9. United Kingdom Lance Corporal 201193 Sherwood Foresters (Notts and Derby Regiment) 01/07/1916 Age: 23 II. F. 15. United Kingdom Private 1922 Leicestershire Regiment 13/10/1915 II. A. 41. United Kingdom Private 27841 King's Own (Royal Lancaster Regiment) 02/04/1918 Age: 39 V. C. 6. United Kingdom Private 35959 Bedfordshire Regiment 15/04/1917 I. D. 4. United Kingdom Captain Northumberland Fusiliers 14/04/1917 Age: 32 I. B. 24. United Kingdom Private 34602 Northumberland Fusiliers 09/04/1917 I. C. 10. United Kingdom Private 17813 South Staffordshire Regiment 29/05/1917 V. B. 18. United Kingdom Able Seaman Tyneside Z/4408 Royal Naval Volunteer Reserve 19/04/1917 I. D. 1. United Kingdom Serjeant 14433 Suffolk Regiment 09/04/1917 I. A. 10. United Kingdom Lance Corporal 41651 Northumberland Fusiliers 09/04/1917 Age: 27 I. B. 20. United Kingdom Private 43486 Suffolk Regiment 28/04/1917 I. F. 5. United Kingdom Private CH/1889(S) Royal Marine Light Infantry 10/08/1917 I. O. 7. United Kingdom Private 61268 Royal Fusiliers 17/07/1917 Age: 27 I. H. 24. United Kingdom Gunner 831207 Royal Field Artillery 02/05/1917 I. H. 4. United Kingdom Lance Corporal 35734 King's Own Yorkshire Light Infantry 01/05/1917 Age: 21 II. E. 39. United Kingdom Private 4394 Devonshire Regiment 25/10/1914 Age: 37 II. K. 34. United Kingdom Sapper 236006 Royal Engineers 27/04/1917 I. G. 13. United Kingdom Lance Corporal 23273 Royal Scots 12/04/1917 I. D. 27. Australian Private 5368 Australian Infantry A.I.F. 03/05/1917 Age: 21 III. C. 32. United Kingdom Acting Bombardier 29031 Royal Field Artillery 24/04/1917 Age: 28 I. F. 1. United Kingdom Corporal 36459 Royal Warwickshire Regiment 02/09/1918 Age: 33 III. H. 11. Canadian Private 267273 Canadian Machine Gun Corps 16/09/1918 Age: 28 II. E. 10. United Kingdom Lance Corporal 25079 South Staffordshire Regiment 01/07/1917 Age: 28 Sp. Mem. V. D. 12. Buried near this spot. United Kingdom Private 12897 Machine Gun Corps (Infantry) 09/04/1917 I. B. 31. United Kingdom Captain Gordon Highlanders 23/04/1917 III. E. 11. United Kingdom Private 59947 Machine Gun Corps (Infantry) 03/07/1917 Northumberland Cem. Mem. 6. United Kingdom Private 31629 York and Lancaster Regiment 28/06/1917 Age: 24 I. N. 1. United Kingdom Serjeant 11558 Highland Light Infantry 25/09/1915 II. G. 41. United Kingdom Private 47833 Northumberland Fusiliers 07/04/1917 I. B. 15. United Kingdom Private 31626 York and Lancaster Regiment 06/05/1917 I. H. 8. United Kingdom Second Lieutenant Northumberland Fusiliers 10/04/1917 Age: 33 I. B. 6. United Kingdom Private 21633 Duke of Cornwall's Light Infantry 29/04/1917 I. G. 16. United Kingdom Private 27361 Royal Warwickshire Regiment 02/09/1918 III. H. 13. United Kingdom Second Lieutenant Royal Garrison Artillery 28/03/1918 Age: 27 I. Q. 14. United Kingdom Private 9322 King's Own (Royal Lancaster Regiment) 01/04/1918 V. C. 8. United Kingdom Rifleman R/35574 King's Royal Rifle Corps 14/04/1917 I. O. 15. United Kingdom Private 202257 Queen's Own (Royal West Kent Regiment) 30/06/1917 Age: 32 V. D. 10. United Kingdom Private 17663 Royal Scots 09/04/1917 I. A. 13. United Kingdom Lieutenant Royal Field Artillery 02/06/1917 Age: 24 I. L. 3. United Kingdom Second Lieutenant Durham Light Infantry 19/05/1917 Age: 22 I. K. 5. United Kingdom Lance Corporal 265620 Black Watch (Royal Highlanders) 18/04/1917 Age: 22 V. A. 4. United Kingdom Private 270130 Royal Scots 09/04/1917 I. A. 7. United Kingdom Private 23/395 Northumberland Fusiliers 09/04/1917 I. B. 11. United Kingdom Second Lieutenant London Regiment (London Irish Rifles) 14/10/1917 I. Q. 8. United Kingdom Private 35151 Royal Warwickshire Regiment 02/09/1918 III. H. 15. United Kingdom Private 38625 Durham Light Infantry 16/06/1917 I. F. 14. United Kingdom Private 37004 West Yorkshire Regiment (Prince of Wales's Own) 20/06/1917 I. M. 11. United Kingdom Private 20239 King's Own Yorkshire Light Infantry 15/05/1917 Age: 21 I. J. 1. Australian Private 5615 Australian Infantry A.I.F. 03/05/1917 Age: 23 II. H. 15. United Kingdom Private 11683 Highland Light Infantry 19/12/1914 Age: 21 II. N. 1. United Kingdom Private 43564 Lincolnshire Regiment 10/06/1917 V. D. 19. United Kingdom Private 7349 Highland Light Infantry 19/12/1914 II. N. 2. United Kingdom Major Lancashire Fusiliers 29/03/1918 Age: 30 II. H. 18. United Kingdom Corporal 37479 Northumberland Fusiliers 09/04/1917 Age: 29 I. A. 3. United Kingdom Private 23/335 Northumberland Fusiliers 09/04/1917 Age: 27 I. D. 8. United Kingdom Driver L/3320 Royal Field Artillery 06/05/1917 I. H. 18. United Kingdom Private 240845 Duke of Wellington's (West Riding Regiment) 03/05/1917 Age: 21 II. B. 29. United Kingdom Rifleman 593770 London Regiment (London Irish Rifles) 03/11/1917 Age: 20 I. Q. 13. United Kingdom Private 18/1343 West Yorkshire Regiment (Prince of Wales's Own) 23/06/1917 Age: 22 I. M. 14. United Kingdom Gunner 128549 Royal Garrison Artillery 07/05/1917 I. H. 11. United Kingdom Private 45546 Northumberland Fusiliers 09/04/1917 I. C. 16. United Kingdom Private 9696 Royal Fusiliers 29/09/1915 Age: 19 II. G. 6. United Kingdom Private 29712 Bedfordshire Regiment 21/04/1917 I. E. 4. United Kingdom Private 267750 Black Watch (Royal Highlanders) 17/05/1917 II. F. 35. Australian Private 5035 Australian Infantry A.I.F. 26/03/1917 Age: 19 III. C. 15. United Kingdom Able Seaman Bristol Z/503 Royal Naval Volunteer Reserve 10/08/1917 I. O. 6. United Kingdom Lance Corporal 27884 Worcestershire Regiment 19/06/1917 I. M. 9. Canadian Sapper 155027 Canadian Railway Troops 20/05/1917 I. K. 4. United Kingdom Private 204423 Queen's Own (Royal West Kent Regiment) 30/06/1917 V. D. 11. United Kingdom Driver 329240 Royal Garrison Artillery 15/05/1917 Age: 24 I. J. 2. United Kingdom Private 764328 London Regiment (Artists' Rifles) 16/09/1917 Age: 21 I. Q. 6. United Kingdom Second Lieutenant (Obs.) Royal Flying Corps 10/10/1916 Age: 38 II. L. 23. United Kingdom Private 17030 York and Lancaster Regiment 13/06/1917 Age: 23 I. L. 14. United Kingdom Private 11/1565 Lincolnshire Regiment 12/04/1917 Age: 24 III. F. 30. United Kingdom Private 9349 Honourable Artillery Company 27/05/1917 Age: 30 I. K. 12. Australian Sergeant 4059 Australian Infantry A.I.F. 26/03/1917 Age: 23 III. C. 30. United Kingdom Serjeant 14/620 York and Lancaster Regiment 07/05/1917 I. H. 9. United Kingdom Private 40628 King's Own Scottish Borderers 09/04/1917 I. A. 9. United Kingdom Private 6165 Northumberland Fusiliers 09/04/1917 I. C. 37. United Kingdom Serjeant 19682 King's Own (Royal Lancaster Regiment) 01/04/1918 V. C. 9. United Kingdom Private 21815 Royal Scots 07/06/1917 Age: 23 V. B. 4. United Kingdom Private 22/77 Northumberland Fusiliers 09/04/1917 Age: 39 I. B. 23. United Kingdom Gunner 781233 Royal Field Artillery 30/04/1917 I. H. 3. 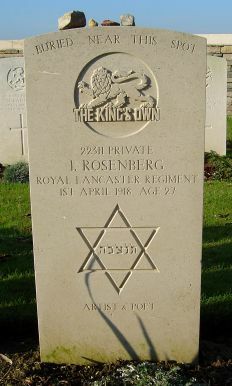 United Kingdom Private 235066 King's Own (Royal Lancaster Regiment) 02/04/1918 Age: 39 Sp. Mem. V. C. 10. Buried near this spot. United Kingdom Able Seaman Bristol Z/960 Royal Naval Volunteer Reserve 18/05/1917 Age: 21 I. J. 14. United Kingdom Gunner 91355 Royal Garrison Artillery 27/04/1917 I. E. 10. United Kingdom Private 9912 Leinster Regiment 18/10/1914 Age: 25 II. J. 9. United Kingdom Corporal 63191 Machine Gun Corps (Infantry) 11/09/1917 Age: 33 I. Q. 3. United Kingdom Sapper 236028 Royal Engineers 27/04/1917 I. E. 15. United Kingdom Lance Corporal 20323 Coldstream Guards 28/11/1917 Age: 25 IV. E. 9. United Kingdom Lance Corporal 46927 Machine Gun Corps (Infantry) 20/06/1917 Age: 24 Sp. Mem. V. D. 5. Buried near this spot. United Kingdom Private 24/1426 Northumberland Fusiliers 09/04/1917 Age: 21 I. B. 3. United Kingdom Second Lieutenant Bedfordshire Regiment 15/04/1917 Age: 38 I. C. 31. United Kingdom Private 18214 Royal Scots 09/04/1917 Age: 21 I. A. 1. United Kingdom Company Serjeant Major 7873 Bedfordshire Regiment 29/04/1917 I. Q. 4. United Kingdom Private 38724 Northumberland Fusiliers 09/04/1917 I. C. 1. United Kingdom Private 25964 Bedfordshire Regiment 21/04/1917 Age: 24 I. E. 6. United Kingdom Serjeant 6065 Royal Warwickshire Regiment 04/05/1917 Age: 39 III. B. 2. United Kingdom Gunner 61768 Royal Garrison Artillery 08/05/1917 I. H. 14. United Kingdom Serjeant 245148 Royal Warwickshire Regiment 02/09/1918 III. H. 12. United Kingdom Gunner 193791 Royal Field Artillery 06/05/1917 Age: 32 I. H. 16. United Kingdom Private 20/439 Northumberland Fusiliers 09/04/1917 I. C. 11. United Kingdom Second Lieutenant Northumberland Fusiliers 10/04/1917 Age: 27 I. D. 14. United Kingdom Able Seaman Tyneside Z/595 Royal Naval Volunteer Reserve 10/08/1917 I. O. 4. United Kingdom Private 86817 Machine Gun Corps (Infantry) 17/05/1917 Age: 28 III. E. 27. United Kingdom Private 3/4131 Argyll and Sutherland Highlanders 25/09/1915 II. M. 10. United Kingdom Private 85326 Machine Gun Corps (Infantry) 18/07/1917 I. N. 8. United Kingdom Driver 7861 Royal Field Artillery 29/04/1917 Age: 26 I. G. 4. United Kingdom Private 19058 Royal Scots 10/04/1917 I. B. 34. United Kingdom Able Seaman Clyde 2/2338 Royal Naval Volunteer Reserve 18/05/1917 I. K. 2. United Kingdom Gunner 915585 Royal Field Artillery 13/05/1917 I. F. 7. United Kingdom Private 25655 Worcestershire Regiment 30/05/1917 I. L. 1. South African Private 3179 South African Infantry 09/04/1917 I. D. 2. United Kingdom Private 201440 Northumberland Fusiliers 09/04/1917 I. C. 36. United Kingdom Driver 52465 Royal Garrison Artillery 22/04/1917 I. E. 24. United Kingdom Private CMT/1114 Army Service Corps 30/05/1917 Age: 27 I. L. 15. United Kingdom Private 33981 Royal Scots 09/04/1917 I. A. 4. United Kingdom Private 11372 Machine Gun Corps (Infantry) 20/06/1917 Age: 21 Northumberland Cem. Mem. 3. United Kingdom Private 268222 Black Watch (Royal Highlanders) 21/08/1918 I. R. 3. United Kingdom Serjeant 42506 Northumberland Fusiliers 09/04/1917 I. B. 7. United Kingdom Private 57352 Machine Gun Corps (Infantry) 03/07/1917 Age: 29 Sp. Mem. V. A. 1. Buried near this spot. United Kingdom Private 4038 Honourable Artillery Company 29/05/1917 Age: 19 I. K. 15. United Kingdom Lance Corporal 18/547 Durham Light Infantry 30/04/1917 Age: 25 I. F. 8. United Kingdom Second Lieutenant East Yorkshire Regiment 16/06/1917 Age: 21 I. M. 6. Australian Private 2421 Australian Infantry A.I.F. 03/05/1917 Age: 22 II. H. 16. United Kingdom Second Lieutenant Royal Warwickshire Regiment 02/09/1918 Age: 25 II. H. 27. United Kingdom Private 288095 Black Watch (Royal Highlanders) 21/08/1918 Age: 20 I. R. 4. United Kingdom Private 40200 Royal Scots 09/04/1917 Age: 23 I. D. 10. United Kingdom Private 8804 Royal Irish Regiment 19/10/1914 IV. J. 5. United Kingdom Private 29244 Yorkshire Regiment 25/06/1917 V. D. 14. United Kingdom Private CH/18976 Royal Marine Light Infantry 09/08/1917 I. O. 8. United Kingdom Private 46976 Northumberland Fusiliers 09/04/1917 Age: 19 I. C. 40. United Kingdom Private 16563 Bedfordshire Regiment 26/08/1917 I. P. 9. United Kingdom Private 12568 Durham Light Infantry 29/06/1917 I. N. 6. United Kingdom Private 14/79 York and Lancaster Regiment 06/05/1917 Age: 34 I. H. 10. United Kingdom Private 21/1094 Northumberland Fusiliers 09/04/1917 Age: 22 I. C. 9. United Kingdom Private 41028 Northumberland Fusiliers 07/06/1917 Age: 23 V. A. 13. United Kingdom Petty Officer Tyneside Z/3948 Royal Naval Volunteer Reserve 05/09/1917 I. P. 14. United Kingdom Private 47245 Northumberland Fusiliers 09/04/1917 Age: 32 I. C. 20. United Kingdom Private 20588 King's Own (Royal Lancaster Regiment) 01/04/1918 Age: 32 Sp. Mem. V. C. 5. Buried near this spot. United Kingdom Private 25125 Royal Dublin Fusiliers 28/05/1917 Age: 22 I. K. 14. United Kingdom Private 6063 Border Regiment 28/05/1917 Age: 23 V. D. 2. United Kingdom Private 55248 Royal Fusiliers 17/07/1917 Age: 40 I. H. 23. United Kingdom Private 7236 Highland Light Infantry 19/12/1914 Age: 22 II. N. 9. United Kingdom Lance Corporal 28374 King's Own (Royal Lancaster Regiment) 02/04/1918 Age: 22 Sp. Mem. V. C. 11. Buried near this spot. United Kingdom Corporal 37970 Northumberland Fusiliers 09/04/1917 Age: 27 I. D. 20. United Kingdom Private 21/1703 Northumberland Fusiliers 18/06/1917 Sp. Mem. V. C. 16. Buried near this spot. United Kingdom Gunner 138772 Royal Garrison Artillery 08/06/1917 Age: 26 I. L. 10. United Kingdom Company Serjeant Major 24/251 Northumberland Fusiliers 09/04/1917 I. B. 8. United Kingdom Private 9525 West Yorkshire Regiment (Prince of Wales's Own) 19/12/1914 II. K. 39. United Kingdom Serjeant 30033 Royal Garrison Artillery 15/05/1917 Age: 30 I. J. 7. United Kingdom Private 71739 Machine Gun Corps (Infantry) 03/07/1917 Northumberland Cem. Mem. 1. United Kingdom Private 65691 The King's (Liverpool Regiment) 03/06/1917 Age: 32 I. L. 4. United Kingdom Lance Corporal 5770 Royal Dublin Fusiliers 25/05/1917 III. E. 32. United Kingdom Lance Corporal 18/1176 Durham Light Infantry 30/04/1917 Age: 26 I. F. 8. United Kingdom Lance Corporal 16620 Suffolk Regiment 09/04/1917 Age: 22 I. A. 16. United Kingdom Gunner 72259 Royal Garrison Artillery 04/05/1917 Age: 26 I. H. 15. United Kingdom Private 38663 Northumberland Fusiliers 09/04/1917 I. C. 30. United Kingdom Private G/15011 The Queen's (Royal West Surrey Regiment) 20/05/1917 Age: 29 III. D. 9. United Kingdom Serjeant 511386 London Regiment (London Scottish) 11/05/1917 Age: 28 III. E. 31. United Kingdom Private 62700 Royal Fusiliers 25/04/1917 Age: 27 I. E. 3. United Kingdom Private 25795 Hampshire Regiment 12/04/1917 I. C. 18. United Kingdom Lance Corporal 24641 Worcestershire Regiment 12/08/1917 I. O. 9. United Kingdom Private 22746 Machine Gun Corps (Infantry) 22/04/1917 I. E. 19. United Kingdom Able Seaman Tyneside Z/2509 Royal Naval Volunteer Reserve 14/07/1917 Age: 21 I. G. 19. United Kingdom Second Lieutenant York and Lancaster Regiment 18/05/1917 I. K. 1. United Kingdom Lieutenant 1st King Edward's Horse 11/04/1918 Age: 23 II. K. 2. United Kingdom Gunner 156760 Royal Field Artillery 01/06/1917 Age: 23 I. L. 2. United Kingdom Serjeant 11715 Royal Scots 09/04/1917 I. R. 1. United Kingdom Private 16257 Suffolk Regiment 28/04/1917 Age: 27 IV. F. 16. United Kingdom Private 40916 Worcestershire Regiment 19/06/1917 Age: 21 I. M. 8. Australian Private 5389 Australian Infantry A.I.F. 03/05/1917 Age: 27 II. H. 11. United Kingdom Lance Corporal 18185 Cheshire Regiment 03/10/1915 Age: 23 II. J. 5. United Kingdom Corporal 10934 The King's (Liverpool Regiment) 28/08/1918 Age: 23 II. A. 34. United Kingdom Second Lieutenant Northumberland Fusiliers 09/04/1917 Age: 27 I. B. 35. United Kingdom Private 26953 King's Own (Royal Lancaster Regiment) 01/04/1918 Sp. Mem. V. C. 3. Buried near this spot. United Kingdom Acting Bombardier 845106 Royal Field Artillery 06/05/1917 I. H. 20. United Kingdom Private 37353 Northumberland Fusiliers 09/04/1917 I. B. 27. United Kingdom Private CH/19397 Royal Marine Light Infantry 15/08/1917 I. O. 11. United Kingdom Private 73418 Royal Army Medical Corps 28/06/1917 Age: 21 I. N. 3. United Kingdom Private CH/19428 Royal Marine Light Infantry 08/09/1917 I. Q. 2. United Kingdom Corporal 646 Lincolnshire Regiment 13/10/1915 II. J. 35. United Kingdom Private 34629 Northumberland Fusiliers 21/06/1917 V. A. 17. United Kingdom Private 23744 Duke of Wellington's (West Riding Regiment) 26/06/1917 V. D. 13. United Kingdom Corporal 8622 York and Lancaster Regiment 13/06/1917 I. L. 13. United Kingdom Private 11098 Highland Light Infantry 19/12/1914 Age: 29 II. N. 10. United Kingdom Private 203133 Queen's Own (Royal West Kent Regiment) 20/06/1917 Age: 29 V. D. 8. United Kingdom Private 13726 South Staffordshire Regiment 24/05/1917 Age: 23 Northumberland Cem. Mem. 2. United Kingdom Corporal 201597 Duke of Wellington's (West Riding Regiment) 03/05/1917 III. E. 21. United Kingdom Private 17360 Highland Light Infantry 11/04/1917 III. G. 18. United Kingdom Private 47446 Northumberland Fusiliers 09/04/1917 I. D. 25. United Kingdom Serjeant 23/1560 Northumberland Fusiliers 09/04/1917 Age: 24 I. C. 7. United Kingdom Private 9582 Devonshire Regiment 09/05/1915 Age: 20 IV. E. 12. United Kingdom Private 48302 Northumberland Fusiliers 09/04/1917 I. B. 25. United Kingdom Regimental Serjeant Major 5198 Lincolnshire Regiment 11/04/1917 Age: 37 II. C. 31. United Kingdom Private 3575 Lincolnshire Regiment 13/10/1915 Age: 18 IV. C. 10. United Kingdom Private 202688 Northumberland Fusiliers 14/06/1917 Age: 28 V. A. 16. United Kingdom Gunner 751404 Royal Field Artillery 28/04/1917 I. G. 10. United Kingdom Private 86040 Machine Gun Corps (Infantry) 06/05/1917 Age: 36 I. H. 21. United Kingdom Lance Corporal CH/113(S) Royal Marine Light Infantry 03/09/1917 Age: 21 I. P. 12. United Kingdom Private 34042 Northumberland Fusiliers 09/04/1917 Age: 37 I. A. 24. United Kingdom Private 13836 Bedfordshire Regiment 22/08/1917 I. P. 5. United Kingdom Private 47913 Northumberland Fusiliers 09/04/1917 Age: 40 I. D. 17. United Kingdom Private 4860 Suffolk Regiment 09/04/1917 Age: 22 I. A. 30. United Kingdom Private 28051 Royal Warwickshire Regiment 02/09/1918 Sp. Mem. III. H. 16. Buried near this spot. United Kingdom Private 22311 King's Own (Royal Lancaster Regiment) 01/04/1918 Age: 27 Sp. Mem. V. C. 12. Buried near this spot. United Kingdom Able Seaman Clyde Z/5726 Royal Naval Volunteer Reserve 10/08/1917 Age: 20 I. O. 3. United Kingdom Private 41013 Northumberland Fusiliers 09/04/1917 Age: 23 I. D. 11. United Kingdom Serjeant 4728 South Staffordshire Regiment 13/10/1915 II. B. 4. United Kingdom Lieutenant London Regiment (Queen's Westminster Rifles) 27/08/1918 Age: 20 II. B. 9. United Kingdom Private 12614 South Staffordshire Regiment 28/05/1917 V. A. 3. United Kingdom Corporal of Horse 707 Household Battalion 19/04/1917 Age: 24 Sp. Mem. V. D. 9. Buried near this spot. United Kingdom Private 37500 Northumberland Fusiliers 09/04/1917 I. C. 28. United Kingdom Private 50226 Northumberland Fusiliers 09/04/1917 Age: 35 I. C. 19. United Kingdom Major Royal Field Artillery 22/04/1917 Age: 33 I. E. 8. United Kingdom Lance Corporal 23623 Bedfordshire Regiment 21/04/1917 I. E. 5. United Kingdom Private 47635 Northumberland Fusiliers 09/06/1917 Age: 19 V. B. 1. United Kingdom Gunner 781242 Royal Field Artillery 30/04/1917 Age: 21 I. H. 1. United Kingdom Private 38284 Northumberland Fusiliers 09/04/1917 Age: 22 I. B. 21. Australian Lance Corporal 691 Australian Infantry A.I.F. 03/05/1917 Age: 21 II. B. 30. United Kingdom Private 29129 Bedfordshire Regiment 22/08/1917 I. P. 4. United Kingdom Private 41637 Northumberland Fusiliers 12/06/1917 Sp. Mem. V. C. 17. Buried near this spot. United Kingdom Second Lieutenant Royal Field Artillery 22/04/1917 Age: 37 I. E. 7. United Kingdom Gunner 53202 Royal Garrison Artillery 27/05/1917 Age: 21 I. K. 9. United Kingdom Private 18375 Yorkshire Regiment 25/06/1917 V. D. 15. United Kingdom Private 235159 Northumberland Fusiliers 09/04/1917 I. C. 13. United Kingdom Private 38541 Northumberland Fusiliers 12/06/1917 V. A. 9. United Kingdom Private 40904 Worcestershire Regiment 12/08/1917 I. O. 10. United Kingdom Lance Corporal 14498 Sherwood Foresters (Notts and Derby Regiment) 01/07/1917 Sp. Mem. V. D. 3. Buried near this spot. United Kingdom Gunner 610378 Royal Field Artillery 22/04/1917 I. E. 16. United Kingdom Private G/18938 The Buffs (East Kent Regiment) 11/07/1917 III. B. 10. United Kingdom Lieutenant Worcestershire Regiment 24/07/1917 Age: 24 I. N. 10. United Kingdom Private 47637 Northumberland Fusiliers 09/04/1917 I. B. 30. United Kingdom Private 35651 Northumberland Fusiliers 20/06/1917 Age: 22 V. A. 18. United Kingdom Serjeant 41501 Northumberland Fusiliers 09/04/1917 Age: 22 I. C. 8. United Kingdom Private 27199 Royal Scots 09/04/1917 Age: 20 I. A. 21. United Kingdom Private 27757 Worcestershire Regiment 28/05/1917 I. K. 16. United Kingdom Private 21275 Bedfordshire Regiment 26/08/1917 I. P. 10. United Kingdom Private 680186 London Regiment 26/10/1917 I. Q. 12. United Kingdom Corporal 47162 Northumberland Fusiliers 09/04/1917 Age: 28 I. B. 9. United Kingdom Private 616 Lincolnshire Regiment 14/05/1917 Age: 28 Northumberland Cem. Mem. 4. United Kingdom Serjeant 203604 London Regiment (Royal Fusiliers) 16/06/1917 Age: 33 III. A. 7. United Kingdom Second Lieutenant Royal Scots 14/06/1917 Age: 25 V. A. 8. United Kingdom Lance Corporal 41011 Worcestershire Regiment 27/07/1917 Age: 23 I. N. 12. United Kingdom Private 26392 Machine Gun Corps (Infantry) 22/04/1917 Age: 26 I. E. 22. United Kingdom Gunner 780559 Royal Field Artillery 17/04/1917 I. D. 22. United Kingdom Corporal 95366 Royal Field Artillery 17/04/1917 Age: 23 I. D. 3. United Kingdom Private 204306 Northumberland Fusiliers 09/04/1917 I. C. 14. United Kingdom Private 40663 Bedfordshire Regiment 26/08/1917 I. P. 8. United Kingdom Lance Corporal 18218 Grenadier Guards 17/10/1915 Age: 20 III. H. 4. United Kingdom Sapper 43774 Royal Engineers 30/04/1917 I. G. 11. United Kingdom Serjeant 6956 King's Own Scottish Borderers 09/04/1917 I. A. 22. United Kingdom Captain Scots Guards 01/01/1915 Age: 33 IV. F. 3. United Kingdom Gunner 94569 Royal Garrison Artillery 24/04/1917 Age: 28 I. G. 6. United Kingdom Private 13775 South Staffordshire Regiment 02/07/1917 Age: 31 V. D. 7. United Kingdom Serjeant 37237 Northumberland Fusiliers 09/04/1917 Age: 22 I. D. 26. United Kingdom Lance Corporal (Signaller) 21/982 Northumberland Fusiliers 09/04/1917 Age: 20 I. B. 4. United Kingdom Private 35597 Northumberland Fusiliers 09/04/1917 Age: 35 I. B. 36. United Kingdom Private 532682 London Regiment (Prince of Wales' Own Civil Service Rifles) 24/10/1917 I. Q. 11. United Kingdom Private 6645 Royal Irish Regiment 19/10/1914 Age: 40 IV. J. 6. United Kingdom Private 33677 Durham Light Infantry 30/04/1917 Age: 16 I. F. 8. United Kingdom Private 13222 Durham Light Infantry 29/06/1917 Age: 34 I. N. 5. United Kingdom Captain Duke of Wellington's (West Riding Regiment) 03/05/1917 Age: 22 II. D. 22. United Kingdom Private 7621 Highland Light Infantry 19/12/1914 Age: 21 II. N. 3. United Kingdom Private 34401 Royal Warwickshire Regiment 02/09/1918 Sp. Mem. III. H. 17. Buried near this spot. United Kingdom Private 276169 Durham Light Infantry 26/06/1917 III. A. 16. United Kingdom Private 48137 Northumberland Fusiliers 09/04/1917 I. D. 12. United Kingdom Corporal 14704 Royal Fusiliers 16/04/1917 I. O. 14. United Kingdom Private 24949 Duke of Wellington's (West Riding Regiment) 03/05/1917 Age: 19 II. A. 16. United Kingdom Private 4872 7th Dragoon Guards (Princess Royal's) 01/12/1917 Age: 26 IV. G. 9/10. United Kingdom Private 19671 Royal Scots 09/04/1917 I. B. 17. United Kingdom Private 265880 Black Watch (Royal Highlanders) 17/05/1917 Age: 22 II. F. 34. Australian Second Lieutenant Australian Infantry A.I.F. 26/03/1917 Age: 23 III. C. 10. United Kingdom Lieutenant Bedfordshire Regiment 27/07/1917 I. N. 11. United Kingdom Private 49488 Lancashire Fusiliers 19/09/1918 I. R. 2. United Kingdom Private 48136 Northumberland Fusiliers 04/06/1917 Age: 22 Sp. Mem. V. B. 14. Buried near this spot. United Kingdom Corporal PO/15281 Royal Marine Light Infantry 20/07/1917 I. J. 16. Canadian Private 160506 Canadian Infantry (Alberta Regiment) 09/04/1917 Age: 21 II. C. 3. United Kingdom Trooper 533 Household Battalion 19/04/1917 Age: 23 Northumberland Cem. Mem. United Kingdom Gunner 109685 Royal Garrison Artillery 26/07/1917 Age: 24 I. N. 14. Australian Private 2751 Australian Infantry A.I.F. 11/04/1917 Age: 42 III. C. 16. United Kingdom Private 23965 Duke of Cornwall's Light Infantry 29/04/1917 I. G. 17. United Kingdom Private 25095 Worcestershire Regiment 28/05/1917 I. K. 11. United Kingdom Gunner 915522 Royal Field Artillery 20/04/1917 Age: 20 I. E. 1. United Kingdom Private 232494 London Regiment (Royal Fusiliers) 15/05/1917 III. A. 25. United Kingdom Private 18/99 West Yorkshire Regiment (Prince of Wales's Own) 23/06/1917 Age: 35 I. M. 13. United Kingdom Private 245149 Royal Warwickshire Regiment 02/09/1918 Age: 23 III. H. 14. United Kingdom Private 47963 Northumberland Fusiliers 31/05/1917 Age: 41 Sp. Mem. V. B. 15. Buried near this spot. United Kingdom Private 14/701 York and Lancaster Regiment 05/05/1917 I. H. 7. Australian Private 5701 Australian Infantry A.I.F. 26/03/1917 III. C. 14. United Kingdom Driver L/13480 Royal Field Artillery 28/04/1917 Age: 19 I. G. 5. United Kingdom Private 32777 Lincolnshire Regiment 16/06/1917 Sp. Mem. V. B. 19. Buried near this spot. Australian Private 6170 Australian Infantry A.I.F. 03/03/1917 Age: 25 II. B. 12. United Kingdom Private 39488 Northumberland Fusiliers 09/04/1917 I. D. 18. United Kingdom Lance Corporal 13677 Coldstream Guards 23/08/1918 Age: 22 II. L. 22. United Kingdom Corporal 7021 Argyll and Sutherland Highlanders 25/09/1915 Age: 34 II. F. 41. United Kingdom Private 21355 7th Dragoon Guards (Princess Royal's) 01/12/1917 IV. G. 11. United Kingdom Lance Corporal 37943 Northumberland Fusiliers 09/04/1917 Age: 22 I. C. 17. United Kingdom Private 82428 Machine Gun Corps (Infantry) 22/04/1917 I. E. 21. United Kingdom Lance Corporal 37480 Northumberland Fusiliers 09/04/1917 Age: 23 I. D. 13. United Kingdom Corporal 32931 Lincolnshire Regiment 09/04/1917 I. B. 33. United Kingdom Private PO/1992(S) Royal Marine Light Infantry 07/09/1917 I. P. 16. United Kingdom Driver 86170 Royal Field Artillery 25/05/1917 I. K. 8. United Kingdom Colour Serjeant CH/13047 Royal Marine Light Infantry 16/08/1917 I. N. 15. United Kingdom Bombardier 19958 Royal Garrison Artillery 03/06/1917 Age: 31 I. L. 6. United Kingdom Gunner 780749 Royal Field Artillery 17/04/1917 I. D. 21. United Kingdom Corporal 43917 Royal Scots 06/06/1917 Sp. Mem. V. A. 19. Buried near this spot. United Kingdom Private 203154 Queen's Own (Royal West Kent Regiment) 21/06/1917 Age: 25 V. D. 16. United Kingdom Private 14371 Machine Gun Corps (Infantry) 17/05/1917 I. J. 12. United Kingdom Acting Bombardier 128282 Royal Garrison Artillery 08/06/1917 Age: 19 I. L. 12. United Kingdom Private 52064 Royal Welsh Fusiliers 04/05/1917 II. B. 25. United Kingdom Private 31496 Northumberland Fusiliers 09/04/1917 I. A. 23. United Kingdom Private 37612 Northumberland Fusiliers 09/04/1917 I. C. 18. United Kingdom Corporal 37278 East Yorkshire Regiment 14/05/1917 Age: 27 I. J. 4. United Kingdom Private 204407 Queen's Own (Royal West Kent Regiment) 30/06/1917 Age: 26 V. D. 17. United Kingdom Private 24173 Northumberland Fusiliers 09/04/1917 Age: 26 I. C. 5. United Kingdom Private 22375 King's Own (Royal Lancaster Regiment) 01/04/1918 Age: 27 Sp. Mem. V. C. 2. Buried near this spot. United Kingdom Private 240873 Northumberland Fusiliers 09/04/1917 Age: 20 I. B. 26. United Kingdom Private 12500 Duke of Cornwall's Light Infantry 29/04/1917 I. E. 12. United Kingdom Lance Corporal 38172 Northumberland Fusiliers 09/04/1917 I. B. 22. United Kingdom Private 761733 London Regiment (Artists' Rifles) 24/08/1917 Age: 24 I. P. 7. United Kingdom Private 49704 Durham Light Infantry 16/06/1917 Age: 25 I. F. 12. United Kingdom Gunner 780704 Royal Field Artillery 17/04/1917 I. D. 23. United Kingdom Private 43708 Royal Scots 13/04/1917 I. A. 25. United Kingdom Private 1470 Seaforth Highlanders 07/05/1917 V. C. 1. United Kingdom Private 202488 York and Lancaster Regiment 18/09/1918 V. C. 15. United Kingdom Private 9590 York and Lancaster Regiment 29/09/1915 Age: 28 III. J. 1. United Kingdom Private 23/637 Northumberland Fusiliers 09/04/1917 I. B. 14. United Kingdom Acting Bombardier 780893 Royal Field Artillery 04/05/1917 Age: 23 I. H. 17. United Kingdom Serjeant 4884 Devonshire Regiment 18/12/1914 II. C. 4. United Kingdom Second Lieutenant Royal Field Artillery 22/04/1917 Age: 28 I. E. 9. United Kingdom Corporal 18/407 Durham Light Infantry 16/06/1917 Age: 24 I. F. 13. United Kingdom Private 34864 Northumberland Fusiliers 09/04/1917 I. C. 33. United Kingdom Private 44450 Northumberland Fusiliers 09/06/1917 Sp. Mem. V. B. 13. South African Corporal 127 South African Infantry 09/04/1917 Age: 46 I. A. 8. United Kingdom Private 41503 Northumberland Fusiliers 09/04/1917 I. C. 38. United Kingdom Serjeant 26/1331 Northumberland Fusiliers 01/06/1917 V. A. 15.